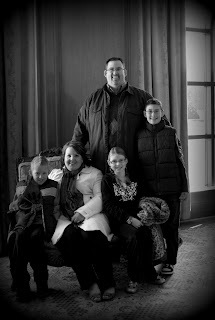 We had Saturday brunch at The Grand America Hotel in down town Salt Lake City. It is a 4 star hotel and you could spend quite a while just admiring the architecture and interior design. We highly recommend the brunch...it is only $15 for adults and $7 for kids. 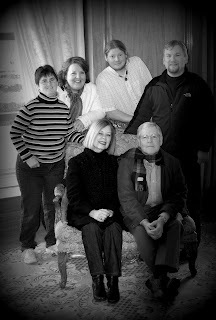 This is a picture of my family.....yes we are a motley crew!!! 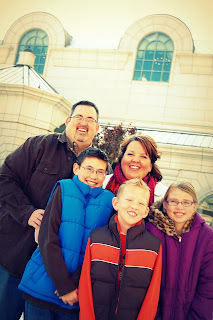 We took a few moments to take some fun shots in the hotel. 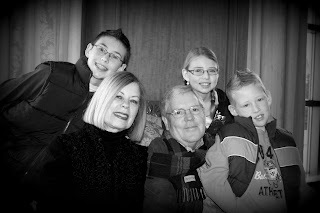 Granny B and Grandpa J with the kids. I love that WHOLE crew!